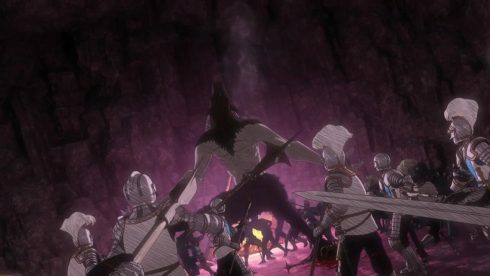 We’re at the point now, where Berserk’s 2016 anime incarnation is actually working as an engaging piece of entertainment. The extremely low likelihood of me uttering that statement (at least when this series started), really can’t be overstated. 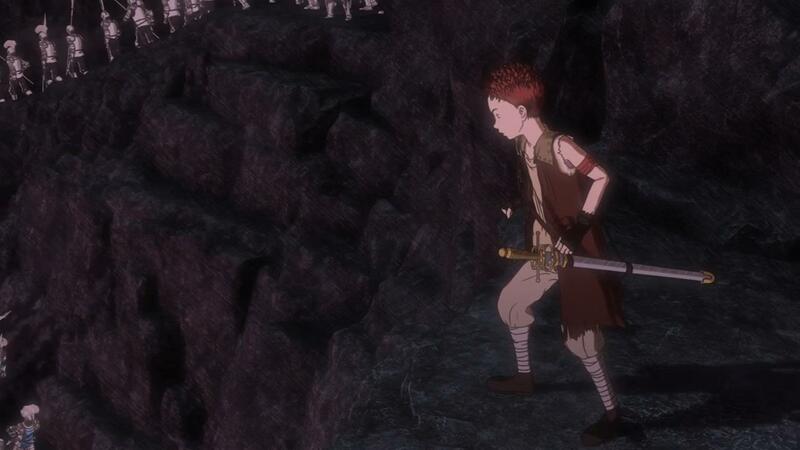 The improvement, and change in the enjoyment factor of this series, makes the situation a particularly noteworthy triumph for a series that may never truly reach greatness as an overall animation product. 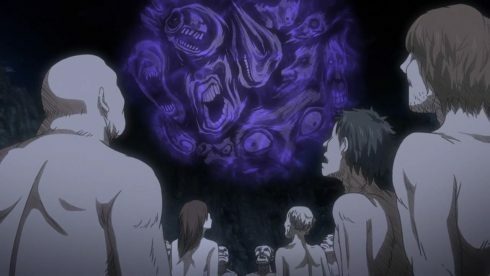 That’s the thing though, even with the production values as shoddy as they are and the lack of budget or real investment into this anime series, this anime series has been fun to watch, at least for the last two weeks or so. 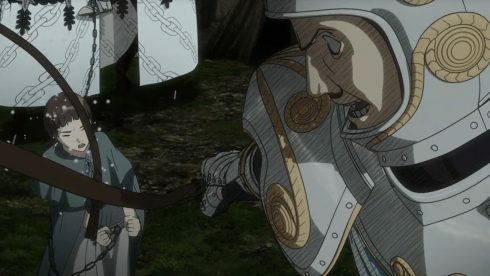 While this is probably as good as Berserk can get in the current climate of the Anime Industry, its worth noting how much the show can balance its strengths with its weaknesses. 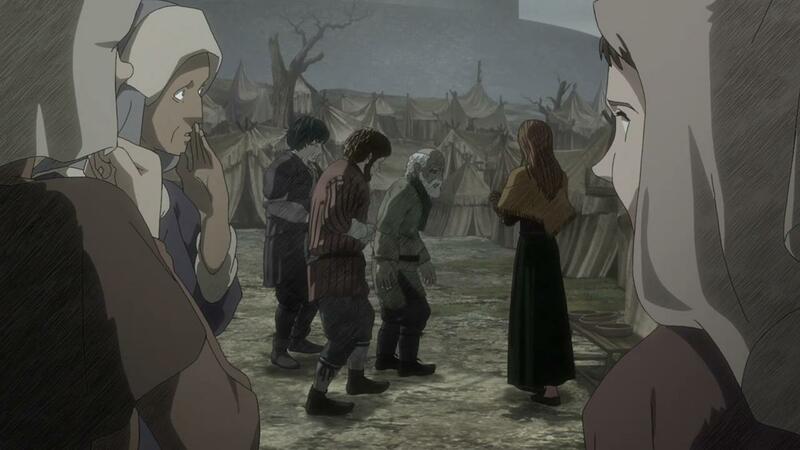 The show isn’t a looker in terms of animation, but its surviving based solely on solid art direction and the strength of its source material. There’s some clever general direction, storytelling choices, pacing adjustment and general management of resources, that’s making this all sing, against all odds. And that is a strange sensation. I know I should be disappointed with Berserk, and I know that a part of me is, but… I mean, I enjoyed this week’s offering of Berserk when it really comes down it. I was actually, legitimately interested in what was happening on screen, and felt invested in it all. 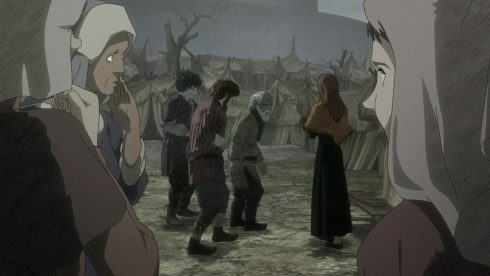 There was a sense of tension, of anticipation and even some satisfaction, all thrown into an episode that delivered some really nice moments. We had Guts finally arrive on the scene this week, and the way it all happened was just… Immaculate. 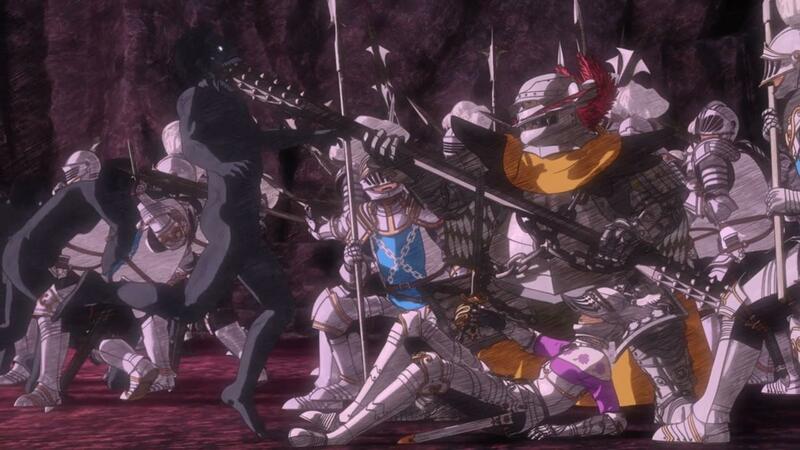 We had the show open up with Luca defending one of her own against the chain Knights, and then Guts coming in at the last minute to save the day. As far as grand entrances go, that’s probably the best one we’ve seen from this series, which is saying something. 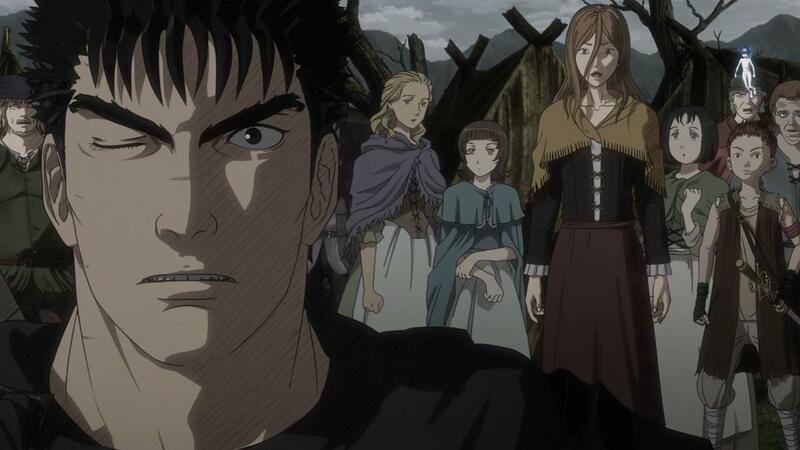 We’ve already seen Guts come in and save Ishidoro multiple times, not to mention Farnese and a few other characters but… The timing here, the build up? It all just worked like clockwork. 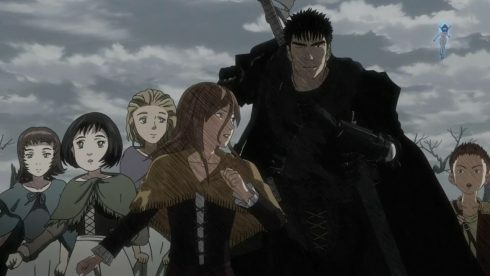 There was just enough of a surprise to Guts appearance, that a sense of genuine excitement erupted after he did arrive on the scene. That sense of excitement, that general thrill, it’s all credited to the two previous episodes of slow build up. Simply put, the show gave us enough time to WANT to see Guts get to where he needed to be. 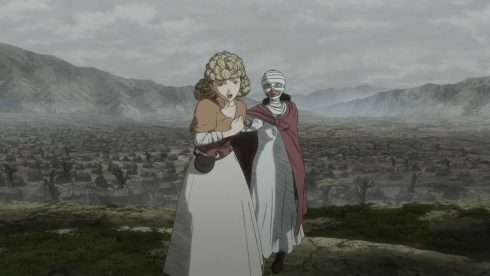 There was a nice amount of world building and a general illustration of just how “effed up” this “Holy land” really was and is, before we got some positive, audience pleasing moments. Setting up audience expectations, and then giving them a good, unexpected moment, is something only the best of stories can manage. 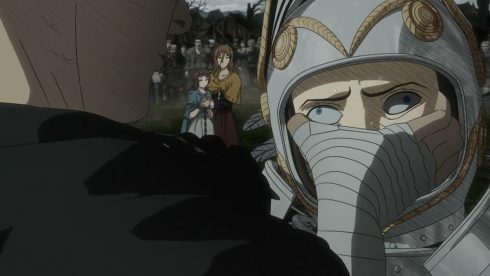 And Berserk did not only that this week, but also had Guts run into the exact person that he needed to connect with, Luca. Luca has been taking care of Casca for a while now, so there’s a genuine sense of reassurance when Guts is able to meet up with her and find his path to Casca. 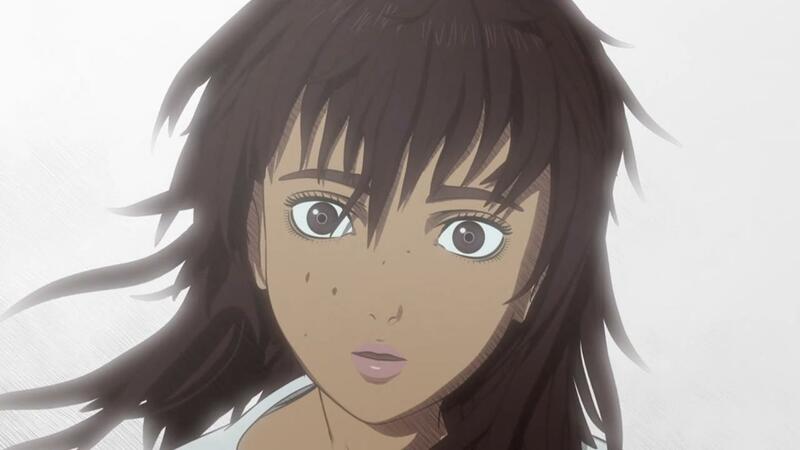 You think, for a few moments, that Guts is actually going to maybe reach Casca before things go to hell. And again, that expectation that the show sets, is important, because the show not only pulls the rug from under you moments later, but makes preparations for another awesome payoff, later down the line. See, Casca ends up being taken out of the camp tent that she’s residing in, by Nina. 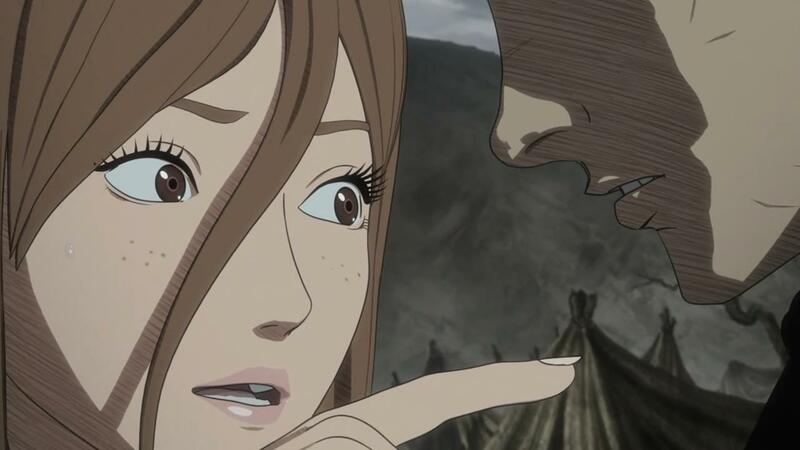 Nina, who’s become a bit of an important character, is easily vying for the village idiot designation, as far as this show goes. Insecure, petty and dumb, is a deadly combination, and its a clear wonder how Nina has survived in this twisted world thus far. 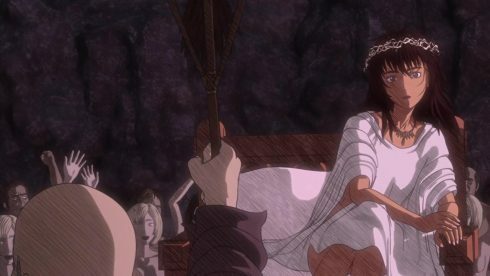 To add to the audience’s potential dislike of this character, she ends up brisking Casca away, just as Guts is about to be reunited with her. Which of course, leads to the automatic assumption that now things are going to go bad. 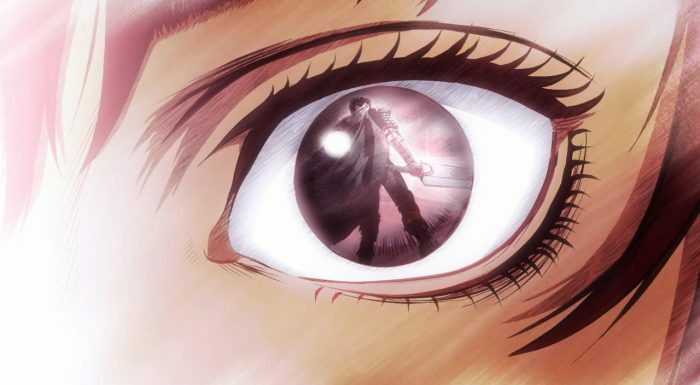 Guts has already had visions of the future, and the show indicates that things are very much going in that direction now. But that’s not exactly how it shakes down either, in the end. The episode actually ends up doing a double take of what it did so effectively in its opening half – It creates a tough situation that seems dire, and then turns the whole situation on its head with the classic “hero arrives in the nick of time” moment. The journey the episodes takes to get there, is easily as noteworthy as the final culminating moment. 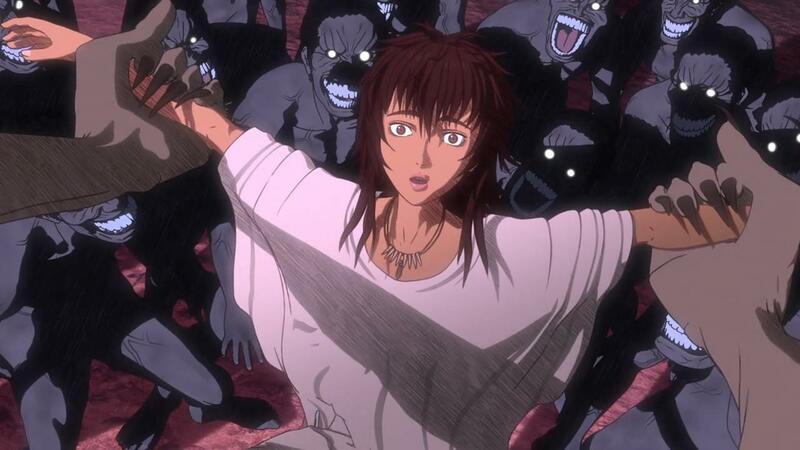 Casca is kidnapped by the weird cultists, and the demons show up to claim their “sacrifice” soon after she’s there. 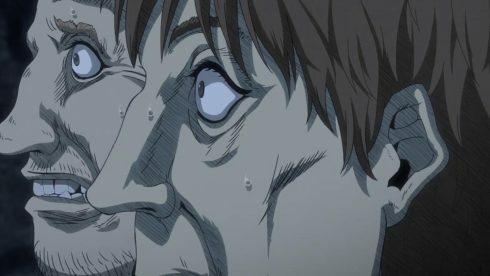 And that’s where the tension not only starts to build, but characters like Ishidoro really get their own solid moments. 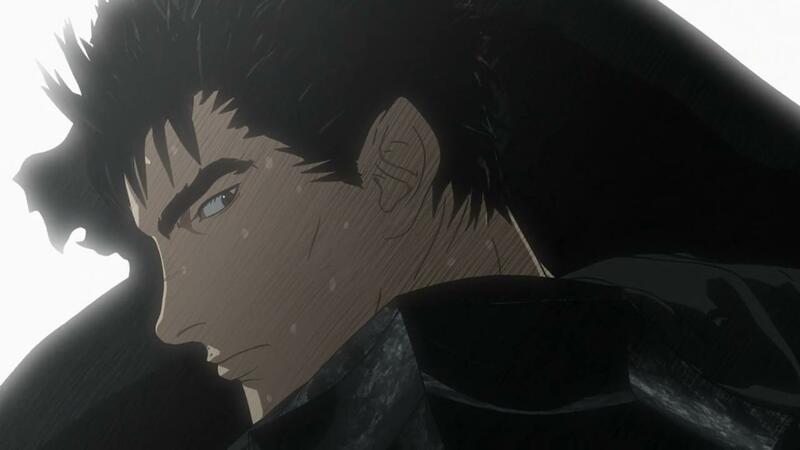 I’m really liking Ishidoro’s back and forth with Puck, and how the two of them provide a nice contrast to Guts’s more brooding, quiet personality. Guts is the badass, but Ishidoro is the likable, scruffy thief that you can’t help but root for. 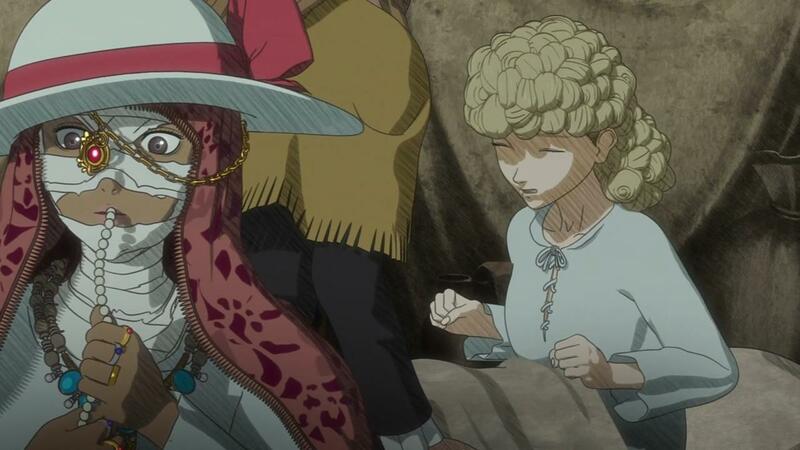 And though we’ve seen it a few times already, its quite evident in this episode that Ishidoro can really hold his own and is a pretty reliable guy. I found myself screaming at the screen, begging Puck to “go already!” as Ishidoro prepped to make his stand and buy everyone some time. That kind of investment and emotional attachment? 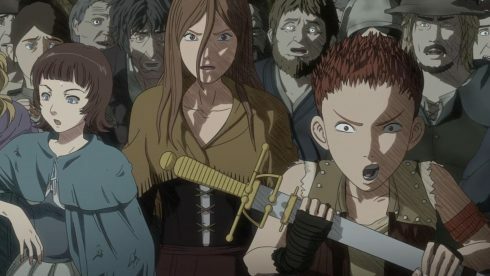 That’s hard to earn, and its beyond extraordinary, that a show like Berserk can garner that kind of response, from a viewer. A big part of the credit for all of that engagement, has to lie with the voice acting. 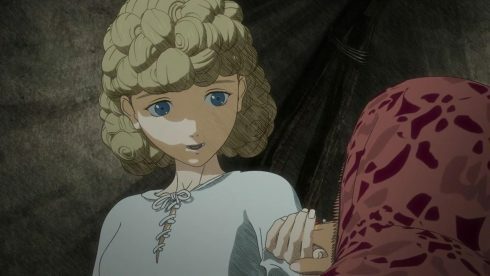 While there are seriously problems with Berserk’s sound work, and sometimes even the music, the voice acting has remained killer. Which, if you think about, represents the show as a whole. 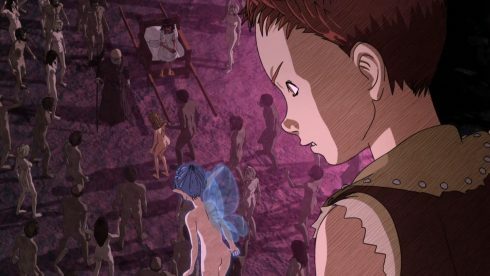 The experience of watching Berserk, is really a series of peaks and valleys. The peaks are these extremely riveting, tension filled moments that are from the source material. Ishidoro trying to defend Casca and Nina, while the chain Knights, the Demons and the Cultists are all hacking away at one another? That’s a complicated and intriguing scenario. 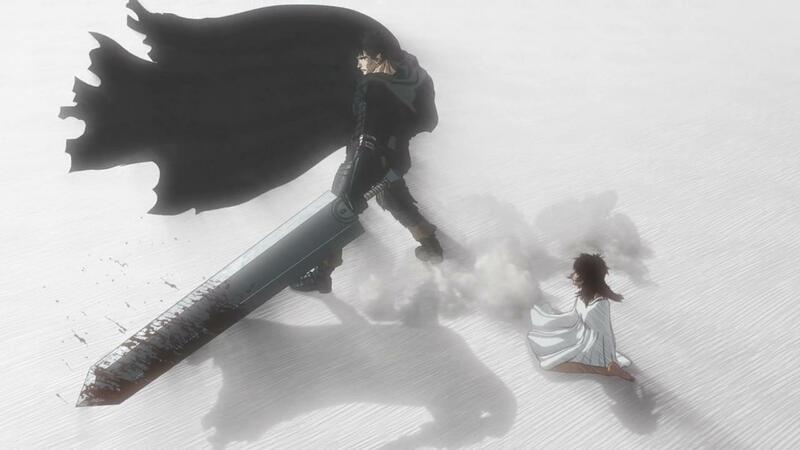 There’s that whole sense of scale to the drama, that comes from a young kid, basically playing the hero and covering for the real protagonist until he arrives. 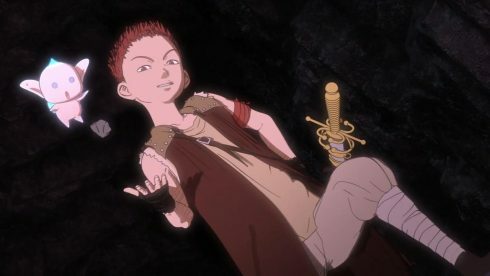 Its easy to see that Ishidoro is in, way over his head, but the headstrong, jump-in-first and wing it attitude of this character, makes the whole scene a lot more rewarding, then anything else we’ve seen from the series thus far. And of course, the valleys in this show, represent those frames and scenes, where the animation is quite evidently just bad. 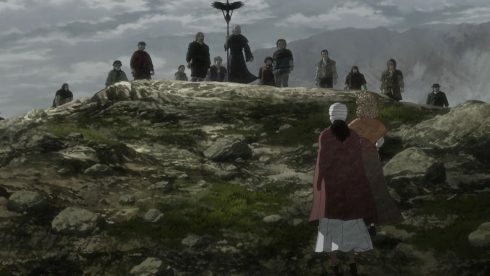 There’s a shocking, jarring second or two, in almost every scene, where Berserk will remind you of its production woes. The show will knock you out of the immersive experience, only to bring you back in with the next interesting and exciting story beat. Its a weird, almost dizzying interplay of pushes and pulls, with the pulls managing to keep the lion’s share of the overall experience in their court. 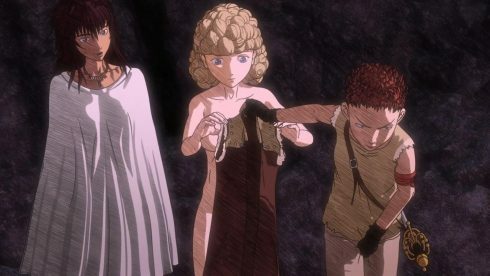 What you get, in the end, is the show being able to build up the tension in that little cove with the monsters, Farnese and the chain Knights, and then climax it off with Guts’s second “in the nick of time” appearance. And man! 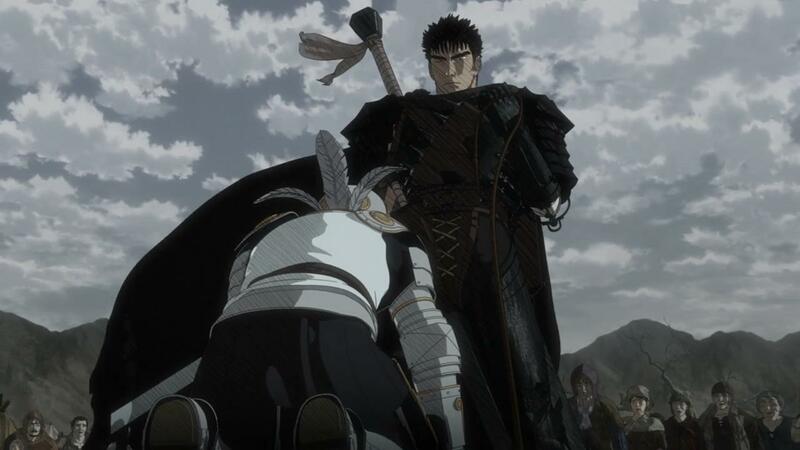 What a solid way to end the episode, with Guts ready to rumble, and an emotional moment where we see Guts and Casca reunite after two years. Its scenes like that, that save this show. 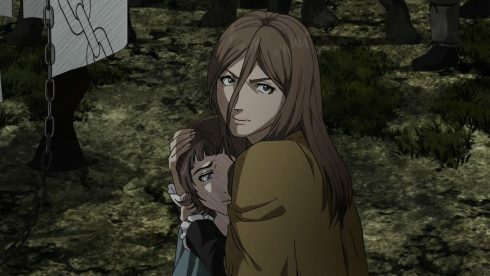 The build up and the eventual payoff, is something that this show is somehow still able to manage, and as I’ve mentioned several times now, I’m not sure how. 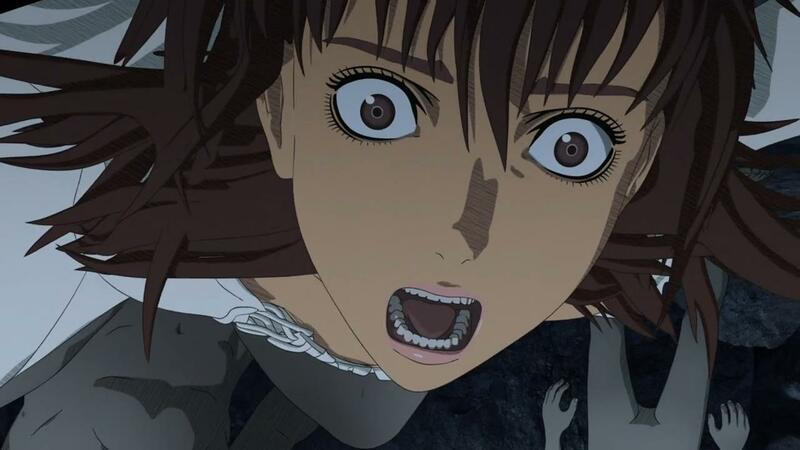 What I will say is that I think director Shin Itagaki is doing the very best with what he has. 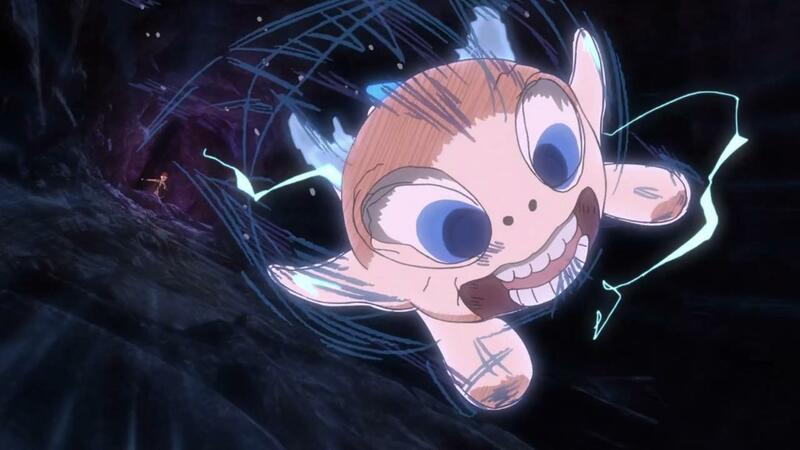 There’s a real skill involved here, with making this show be not only palatable, but actively engaging despite the ham-stringed budget and terrible animation. 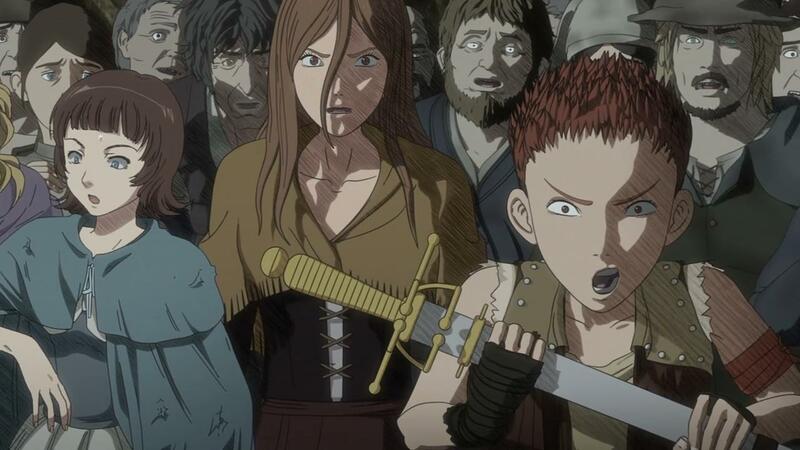 And I don’t believe that its studio LIDENFILMS that the problem here, because they’ve done stuff like Arslan Senki and Terraformers, which were decently animated series and a far cry from what we have here. The lack of love, I think, for this series, is only coming from the Anime Production committee itself, and the financing part of this project. Its a darn shame, because if this episode, with all its achievements proves anything, its that Berserk is a franchise has some real potential. As Berserk fans we definitely do deserve better, but I think its worth applauding everyone involved with this project, for doing as good of a job as they are, given what they have to work with. 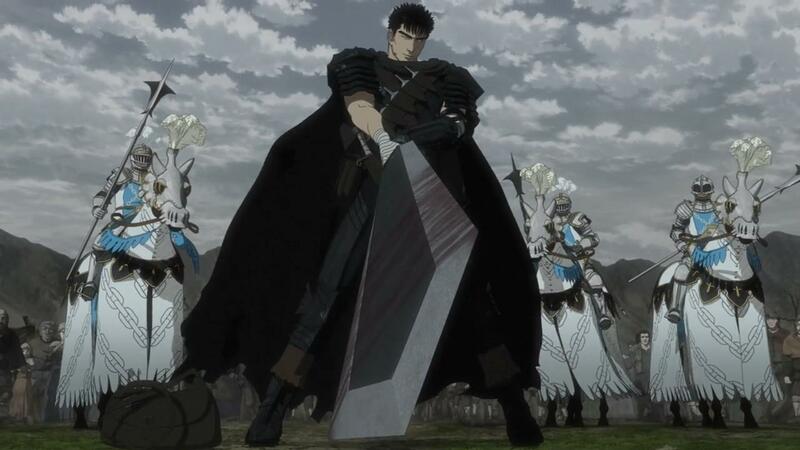 And to Berserk’s credit, there are other sequels and franchise revivals this very season, that look better, but aren’t nearly as engaging, as this series is.